After the two had split up, the actress began dating a woman, 18 years her senior, who was also in the public eye. She didn’t want it to get out, for fear it would damage her career, and Galecki kept it a secret. 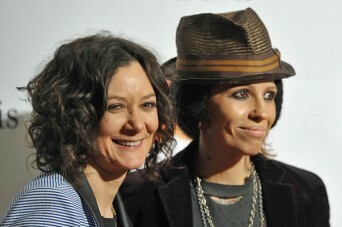 Even up until recently, when she got engaged to musician Linda Perry in April, the 38-year-old continued to worry about what these personal revelations could mean. Posted September 14th, 2013 & filed under Entertainment.